A little kitten is lost and alone. Will he be found and given a home? P.J. Finds a Home is the true story of a tiny orange kitten born in a woodland on a chilly autumn evening in Pennsylvania, and the kind little girl who discovers him. Beautifully illustrated by Michael Miller, this inspiring tale is sure to become an enduring classic that will warm the hearts of children and adults alike. Art by Michael L. Miller. Sharon Wells Wagner is an author, artist, publisher, and World War II historian. She is the author of Red Wells and co-author of Ordinary Heroes and Forgotten Widow, all books on World War II. 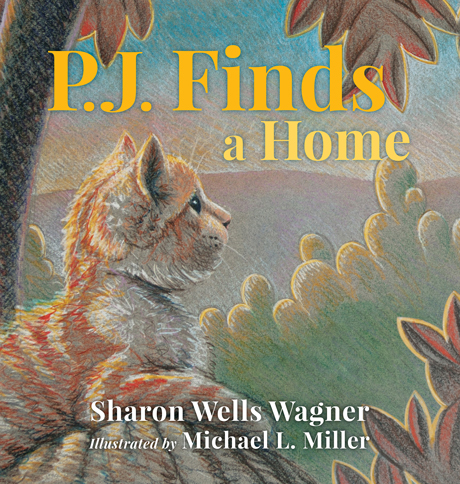 Her passion for writing non-fiction continues in her first book for children, P.J. Finds a Home. In her free time, Sharon enjoys attending dog agility events with her daughter Stephanie, traveling, playing Scrabble, watercolor painting, and writing children’s books. 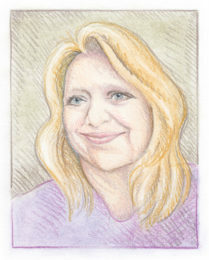 She lives in Berks County, Pennsylvania with her husband Richard. Michael Miller grew up in Lancaster County, Pennsylvania, and was encouraged to pursue an art career by his supportive parents and art teachers. 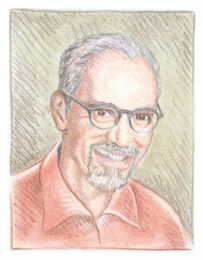 This led him to Kutztown University, where he studied Communication Design and hoped to one day illustrate children’s books. After working in the graphic design world for a few years, Mike decided this was not the path for him, and returned to Kutztown to earn his teacher’s certification. Today, he enjoys teaching art to children in the Wyomissing Area School District, and has taught art for over twenty years. During that time, he has earned his MFA from Maryland Institute in Baltimore, Maryland, and also coordinated over three dozen public art projects in Reading, Pennsylvania.